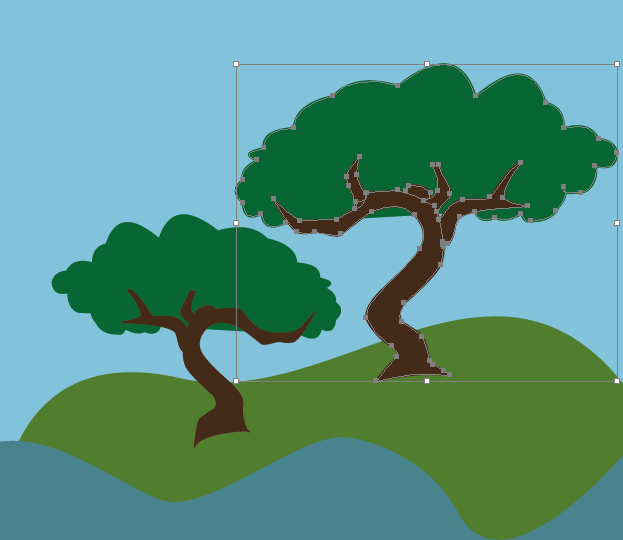 For the little forest I planned to do in the second sector of my poster, I needed trees. I created them using what I learned about tracing in my seminar session. 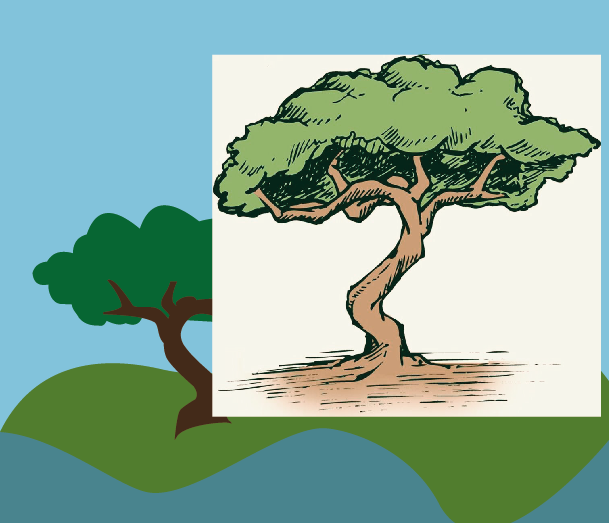 First I found a picture of a suitable tree online. 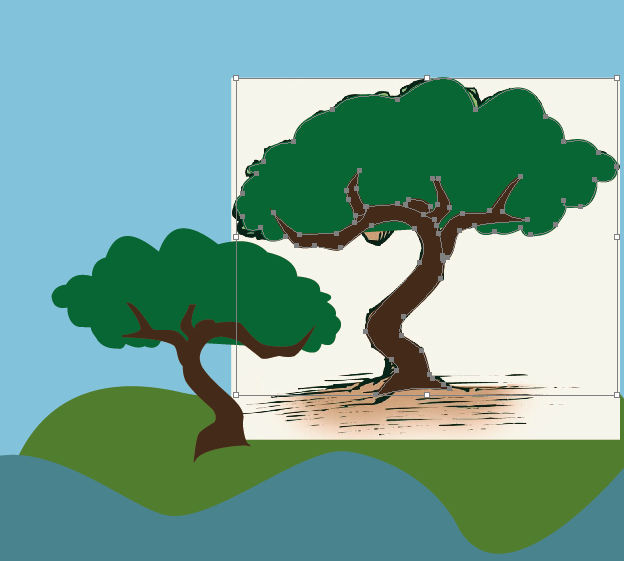 Then I used the tracing tool to recreate the shape, so I would end up with a vector graphic. 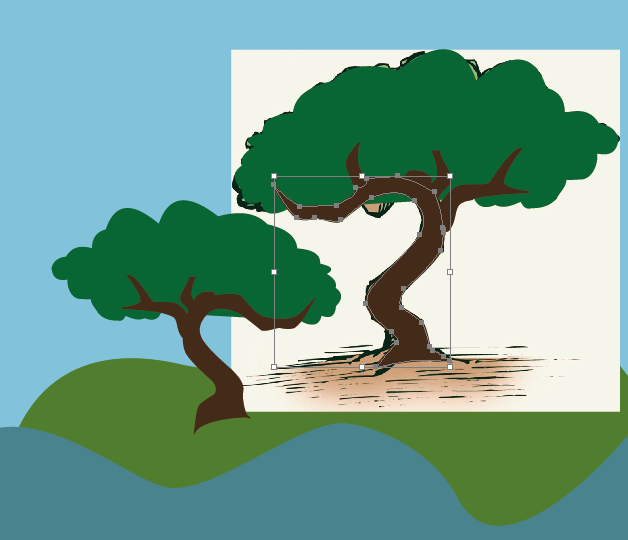 Then I used the same tree to create more of them by changing size and some details. 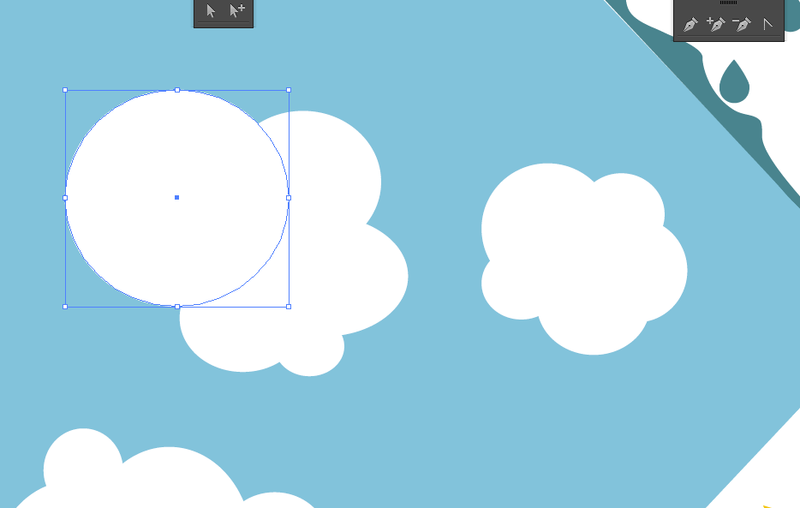 I thought about tracing the clouds as well, when I remember how in our sessions, we created difficult shapes by using normal circles, rectangles, stars or triangles Illustrator allows you create very easily. 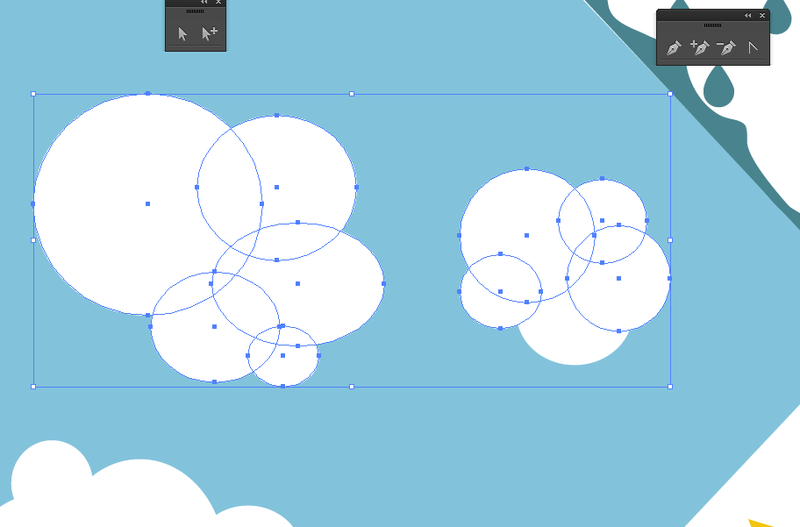 So, I tried making clouds out of a lot of white circles and ended up with that. I considered using the same form for all of my clouds like I did with my tree but in the end I created everyone on its own. This way they looked nicer and more natural. In the end, I grouped all the parts of my clouds, so I could move and change them as one. The same thing I had done before for my tree.